Apart from some well-known features from the successful baby lock coverlock machines, the new machine will impress you with the so-called RevolutionAirTM threading system. 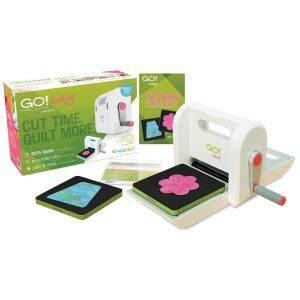 This fully automated jet-air threading system lets you thread not only the loopers but also the needle eyes easily with just a press of a button. The knee lift and the speed regulation offer unique comfort for complicated stitching projects. When the presser foot is in the raised position, the machine doesn’t start sewing for additional safety. 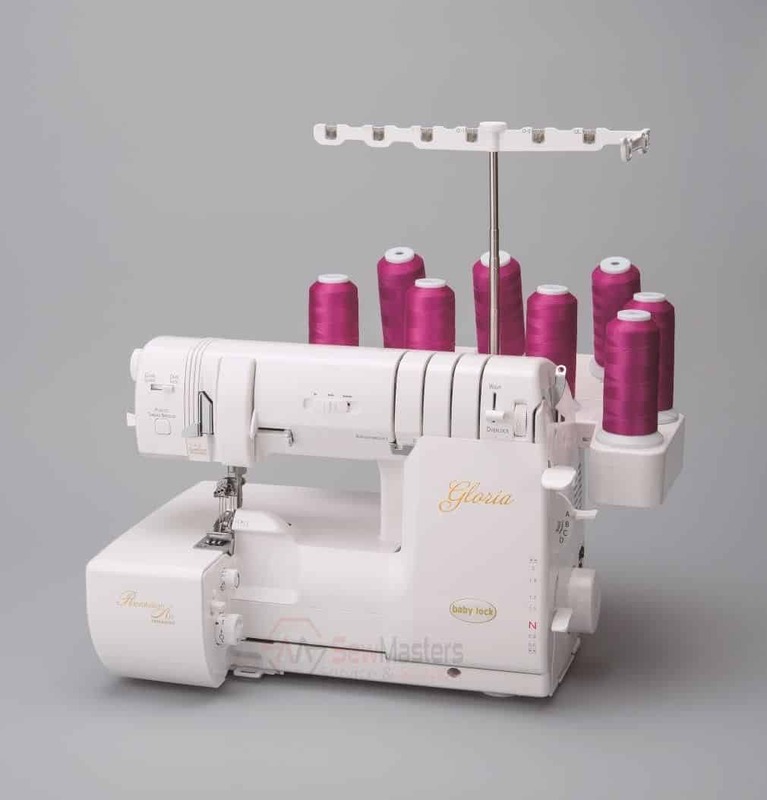 The automatic thread delivery system makes operation even easier because the thread tension no longer has to be adjusted by hand. Switching over from the cover stitch to the overlock stitch is already easy as it is. But the new machine now reduces the number of steps needed to change the needles even further. After taking the needles out of the needle clamp, the fastening screws don‘t have to be tightened by hand anymore. The Gloria provides up to eight threads and thus offers a wide variety of decorative effects and stitch combinations such as the popular baby lock wave stitch. The RevolutionAirTM system helps you thread the looper port at the touch of a button. The system’s automatic needle threader, which also works by simply pressing a button, is really unique. 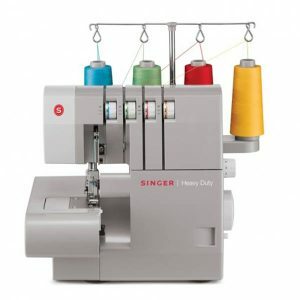 The proven automatic thread delivery system and stitch selector dispel any worries about thread tension adjustment. The presser foot pressure and differential feed (0.6 – 2.0 :1) can be adjusted to your needs at any time. The wide throat space provides maximum flexibility, letting you accomplish even larger projects. The bright LED technology rounds off the overall coverlock package perfectly. The RevolutionAirTM threading system has been installed in a coverlock machine for the first time and makes threading your Gloria child’s play. From now on, a gust of air will not only thread the loopers but also the eyes of the needles. What’s more, you can thread the machine automatically in any order you like. The Gloria’s workplace layout has been optimised by placing the presser foot lifter on the side. The Gloria’s clearly designed thread path makes it easy for you to thread the chain looper. More or thicker layers of fabric can fit between the foot and feed dog. The coverlock machine will not start sewing as long as the presser foot is in its raised position. This ensures both your safety and perfect seams. The presser foot must be lowered and/or positioned on the fabric before you can continue sewing. The new presser foot pressure dial of the babylock Gloria allows you to handle all kinds of material or fabric individually. Regardless of whether your fabrics are fine, firm or heavy – the presser foot pressure is easily adjusted to the respective requirements. Thanks to the easy-read scale, you can precisely find the basic setting and adjust the controller for lighter and heavier materials. This is what makes the baby lock Gloria perfect: more freedom for your creativity. 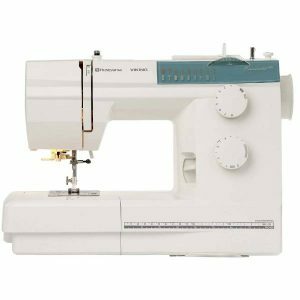 The wider throat lets you handle larger and more voluminous sewing projects without difficulty. It is no longer your machine but you who decides the size of your sewing projects!